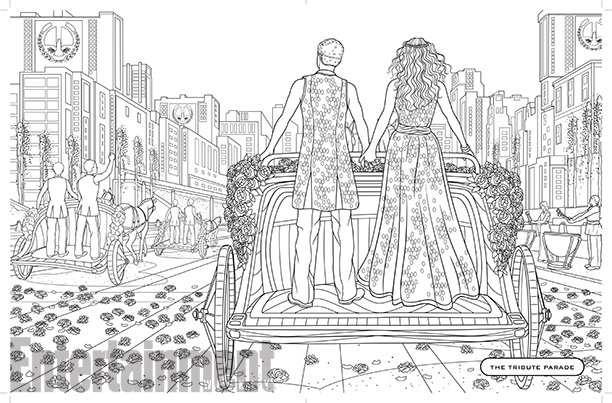 The World of The Hunger Games Coloring Book - Coming soon!! This party ain't over yet, son! Bet you thought you'd seen the last of us, haha! Nope, we're still here creeping in the shadows grieving over the conclusion of our franchise. 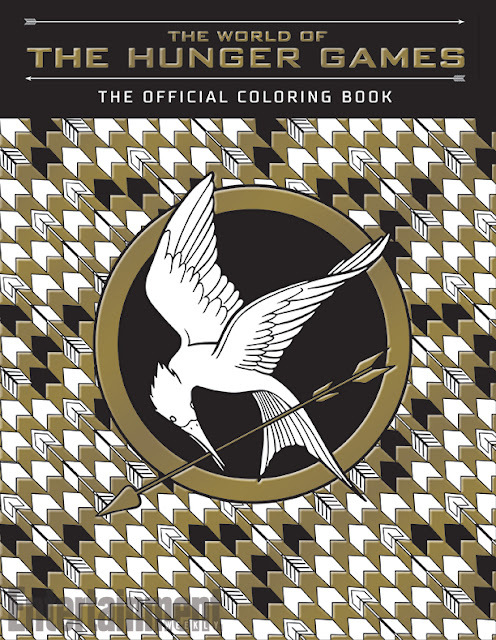 But we come back to you now to share with you some cool news: The Official Hunger Games Coloring Book! 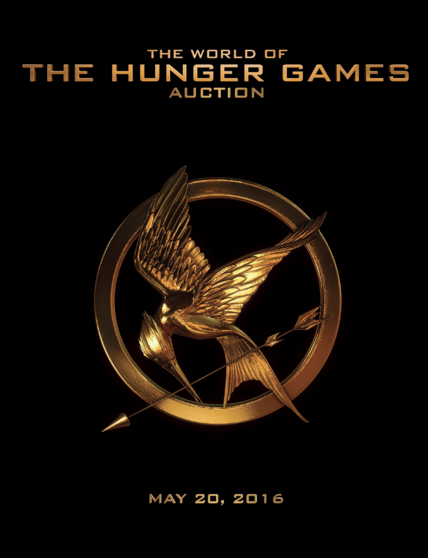 Lionsgate, together with auction company Profiles in History will be auctioning off almost 500 costumes, props and set pieces from The Hunger Games Franchise this May. You check out the 3D Flipbook to check out the cool but (predictably) expensive things for sale! Read the press release, with the highlights from the auction and bidding information after the cut. Mockingjay Part 2 is already out on digital release, but fans can own it on Blu-Ray TOMORROW, March 22nd. Deciding whether you buy the Blu-Ray or the full 4 Film Collection depends on how much you want to spend, honestly. Everything that's on the Mockingjay Part 2 Blu-ray also exists in the 4 film collection and then some. Let's go over what is in the 4 Film Collection that you cannot get anywhere else. 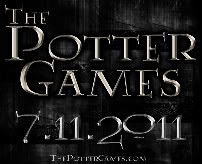 2 Featurettes "Picturing Panem" and "Capitol Cuisine"
The above is content that is completely new. When you buy the 4 Film Collection you are not only getting all the films, but also the many special features that each movie came with. If you're a superfan, you probably have seen all these special features already. However it might be worth it for you just for these deleted scenes from the older movies. When navigating the menu on the 4 Film special features disc, each brand new feature will have "never-before-seen" attached to it. I highly recommend getting the 4 Film collection for those that have been fans since the first film. The fandom was pretty outraged when we got no deleted scenes on the first Blu-Ray. 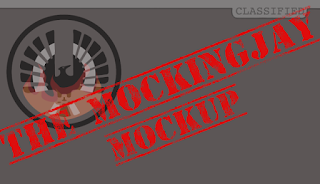 Sources we talked to kept saying "the version Gary showed us was pretty much the version we went with". We knew that was probably an exaggeration and that Lionsgate was holding on to something for a box set version of the movies in the future. Now that we are here, we are quite glad that fans are able to finally see these deleted scenes, OF WHICH THERE ARE MANY, and get a little closure on the deleted scene fiasco in 2012. We live and breathe special features, and it's never too much in our opinion. We wish that there were more "extra" special features to be had in this box set, but the reality might just be that is all that was shot. Still, we are grateful that we have the opportunity to own a complete collection of every single Hunger Games film and special features. At the very least fans should be getting Mockingjay Part 2 on Blu-Ray. There are some great special features and quite a challenge for fans looking for Easter Eggs. 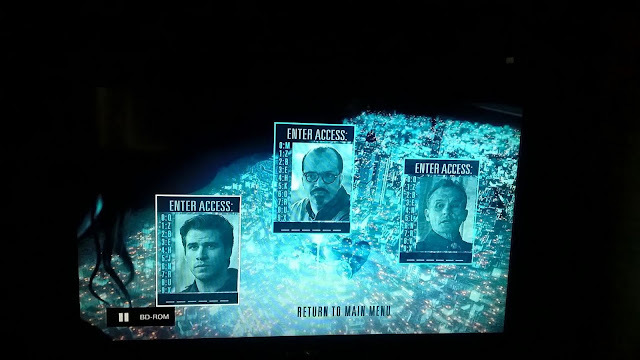 We always report on how to access the Blu-Ray Easter Egg, and this one has three deleted scenes hidden in it. To access the Mockingjay Part 2 Easter Egg, you can check it out HERE. As always the Blu-Ray offers audio commentary from Francis Lawrence and Nina Jacobson. For those fans wanting to learn everything they can about behind the scenes information on Part 2, definitely don't miss the commentary. They touch on aspects that are in the book that aren't in the film, citing reasons to why they couldn't. Some interesting facts are that the main reason the wedding happens in the film is that they didn't want to deny fans of that moment. As much as they were dying to put more Johanna in the film they could not for fear of the film losing momentum. A lot of insight into Katniss' character going into this last film. Fans who are anxious to learn more will definitely enjoy the audio commentary. This 8-Part documentary is a lot of behind the scenes action in Mockingjay Part 2. They spend a lot of it talking about the story of The Hunger Games as a whole, so it takes awhile before it starts getting into the interesting bits of production. There are some cool things to see such as stunts, explosions, the sets, effects, etc. There is a lot to see, and maybe I am spoiled by 3 hour special feature Blu-Rays, but it seems like the Mockingjay Part 1 Blu-Ray documentary caught a lot more action and on set shenanigans than in Mockingjay Part 2. This could just be a logistics issue, maybe they just didn't have the time or means to capture as many moments for part two seeing how they filmed the whole Mockingjay story at once. Having said that, the documentary is still a great addition to the special features Lionsgate has come out with for every film. Fans will love watching Pawns No More, and maybe even tear up at the very sentimental conclusion of the documentary. Featurettes include "Photographic Journey", "Secrets of the Mockingjay Armor", "Panem on Display" and "Jet to the Set". If you haven't been to The Hunger Games Exhibition, "Panem on Display" is a nifty section to watch. If you have been, it won't be anything new to you. My favorite of the featurettes is "Secrets of the Mockingjay Armor". They do talk about it in Mockingjay Part 1 special features, but I can't get over how spectacularly they build the Mockingjay suit for accuracy and function. It gives fans a little more information than mentioned in the Part 1 special features about how they developed the suit and the changes it went through. "Jet to the Set" is exclusive to the Blu-Ray, but it is not our cup of tea. It looks like a tourism video, a very celebrity Hollywood look at filming spots in Atlanta and things to do there. It does not really feel like a special feature, more so a very Capitol presentation of Atlanta. But hey, some people are into that. 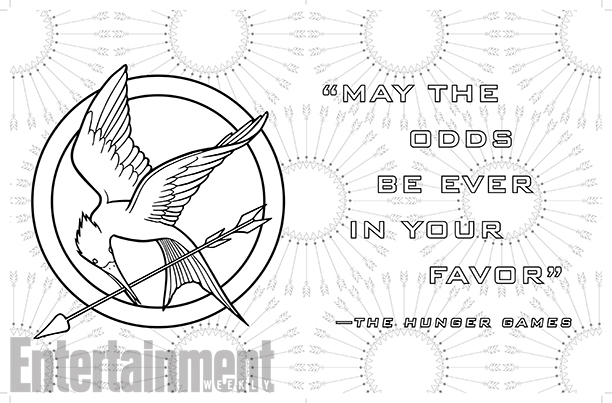 What do indeed, tributes. 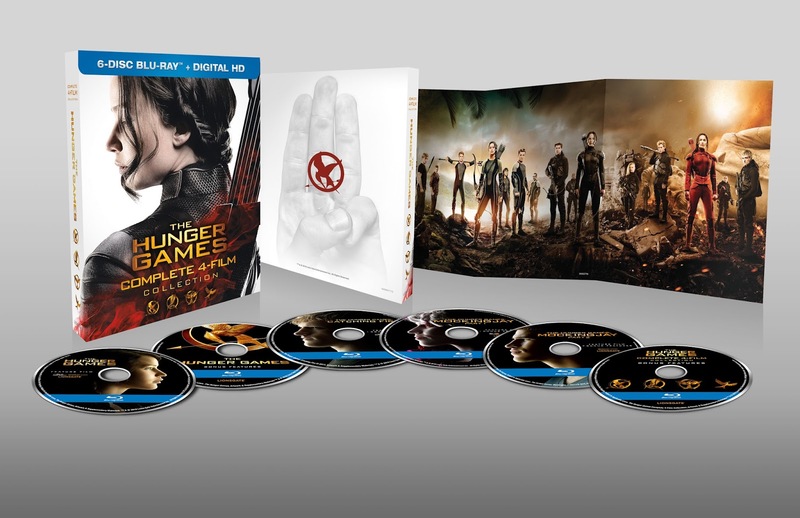 Luckily there are tons of ways to own either the 4 Film Collection or just the Mockingjay Part 2 Blu-Ray digitally. 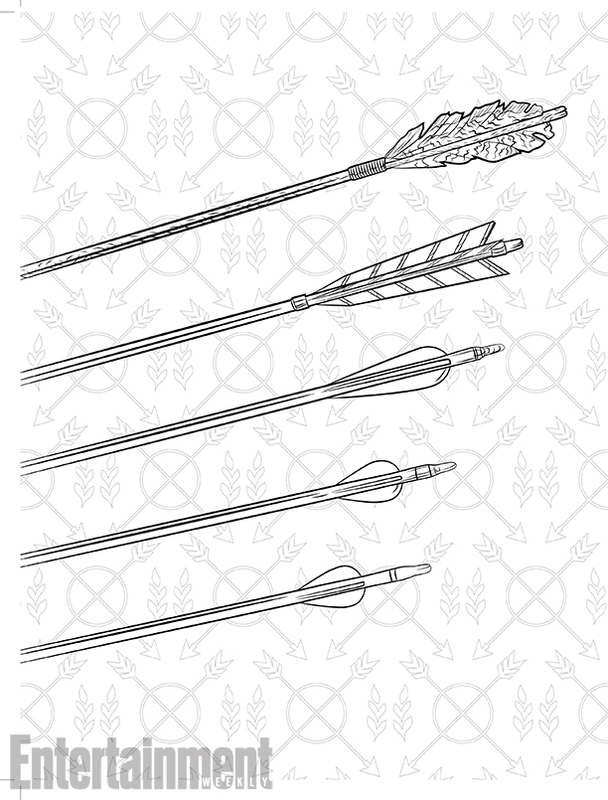 There are tons of options on the official site HERE. Personally, I prefer physical Blu-Rays that include a digital copy of what you're getting. I recommend getting the 4-Film collection because not only does it provide you with all the films, special features, plus even more special features, but also gives you codes to own everything digitally. Either way, you're getting some awesome special features to enjoy in addition to Mockingjay Part 2. Enjoy! Mockingjay Part 2 Blu-Ray EASTER EGG! - Complete code list! Here we are again, another Blu-Ray release means another hunt for hidden easter eggs! Thanks to Quarter Quell and @SnowMustFall for figuring out how to access the hidden deleted scenes. 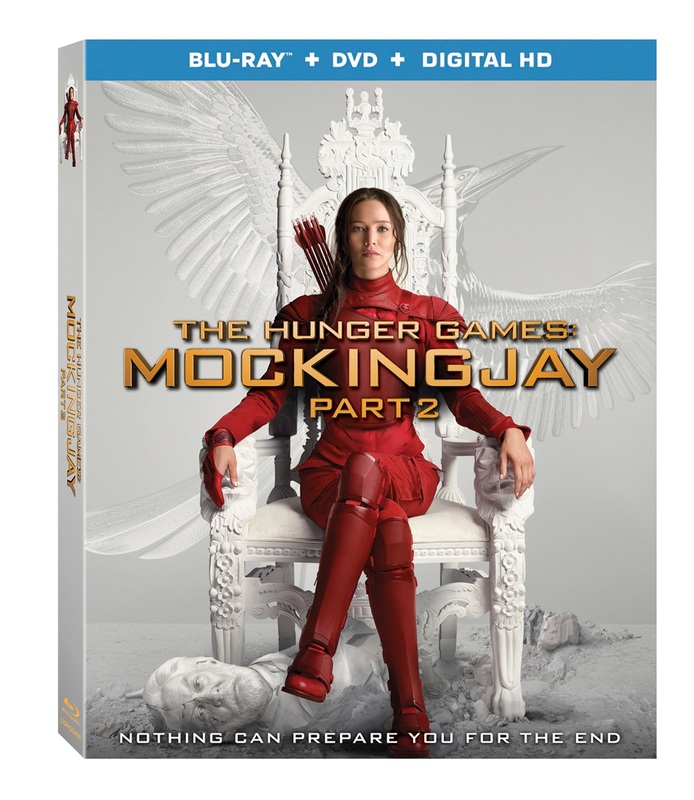 In addition to your Mockingjay Part 2 Blu-Ray (out March 22nd, though some have had it sent early), you're also going to need the Mockingjay Part 1 Blu-Ray. When you put the Part 2 Blu-Ray in, click the BLUE button on your remote during Lionsgate logo when the top menu animation begins. Keep pressing it until something happens and the above image will show up. You will be given three random character codes to input. Each code is for an extra deleted scene. These codes can be found on Mockingay Part 1 Blu-ray. It's a combination of codes on the side of the menu that cycle through character stills on both the rebel menu and the capitol menu. There's also a chance you might get Antonius, which can only be found on the pop-up menu when the movie is playing. 1. Katniss video chat with Haymitch - "We made a deal to save him, remember?" 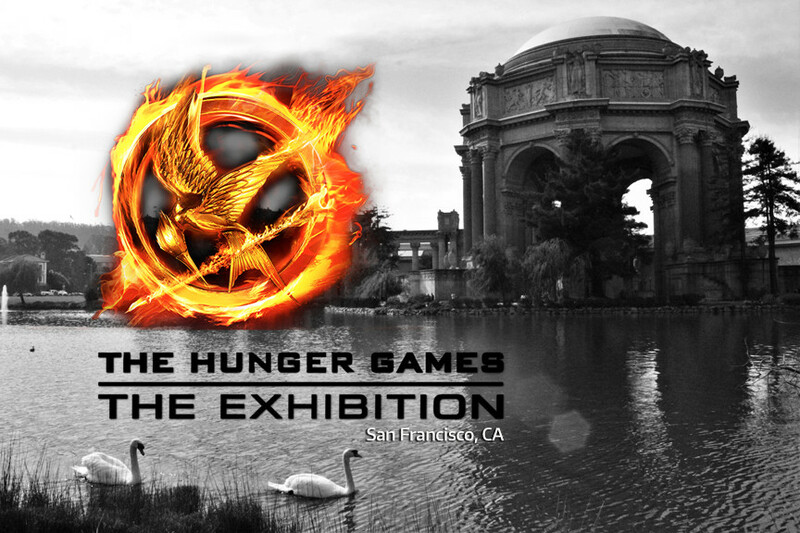 The Hunger Games Exhibition is in San Francisco! It's been open since February, and the engagement has been pushed back to sometime in July. That means fans have four months left to enjoy what is, in my opinion, the greatest Hunger Games experience for fans out there. It won't stay there forever, so we highly recommend check out the exhibit for yourself. It's highly interactive, educational, and a nice trip down memory lane for long time fans. It's also located at the beautiful Palace of Fine Arts, a sight to see in itself. Check out photos from the exhibit. For those who plan on going....um.....spoilers? Introduction of the tour. Projected schematics from Production Designer Phil Messina. 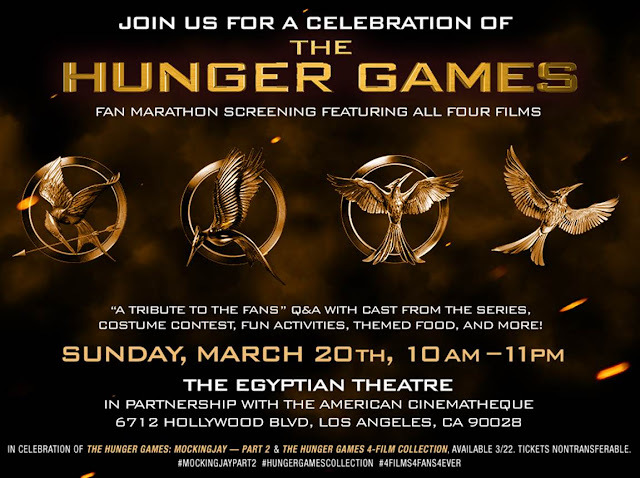 Join Us for a Hunger Games Marathon! In celebration of the Blu-ray, DVD, and Digital release for The Hunger Games The Complete 4 Film Collection and The Hunger Games: Mockingjay Part 2, Lionsgate has given us 5 TICKETS to give away for their marathon event on Sunday, March 20 at the Egyptian Theatre. DO NOT SIGN UP IF YOU CAN'T GO. Tickets go to the first 5 people to sign up at the link HERE. All tickets are gone! There will be a standby line, but entrance is not guaranteed! Okay first of all look at Katniss and Peeta! BABIES. Second, we get to see something we wouldn't have known from just the books - Haymitch eavesdropping on their conversation. And what does that mean? we can't be too sure but it definitely adds another layer to the whole 'star-crossed lovers' angle that Katniss and Peeta (and their team) were working which was, of course, Haymitch's idea!